With Scotch sales for 2015/16 flat and a seemingly never-ending cycle of declines in China, can Chivas Brothers expect bigger and better things in 2017? Melita Kiely investigates. It has been nearly four years since the Chinese government unleashed its anti-corruption campaign – and it’s not just the Scotch whisky category that has suffered as a result. The clampdown on extravagant gifting and general austerity measures in government hit Scotch volumes hard, and, since then, the repercussions have reverberated throughout the spirits industry for longer than many had expected (or hoped). Volumes plummeted so drastically in 2014 that China was pushed out of Scotch’s top 20 export markets altogether, according to Scotch Whisky Association (SWA) figures – and businesses have been battling to re-establish their foothold here ever since. 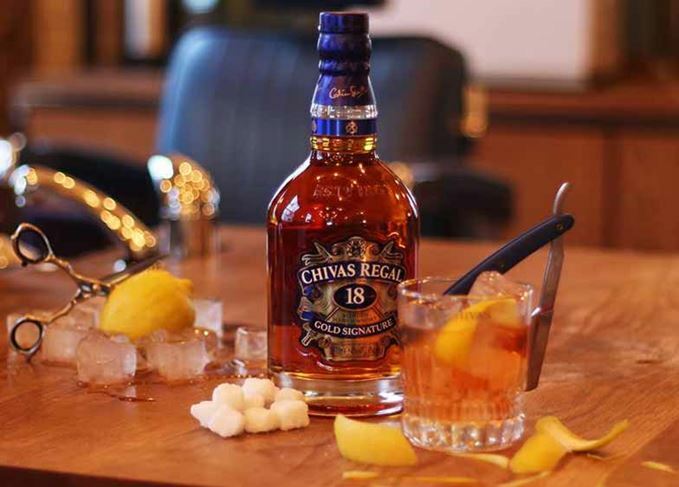 The aftershock is evident in the most recent full-year sales figures from Chivas Brothers, part of French drinks company Pernod Ricard, which is the second biggest Scotch whisky producer in the world after Johnnie Walker owner Diageo. Global revenues for the group’s Scotch whisky portfolio flatlined last year, thanks in part to ‘difficulties’ in China, with significant declines in Scotch sales in the region. Chivas Regal, the flagship blend of Chivas Brothers, has felt the effects acutely. Once the king of blends in China, volumes have dropped dramatically and endeavours to claw back growth have been long and arduous. Global sales of the brand fell 4% last year (though not solely due to China, which we’ll get to later). This means that lavish expenditure in China is out and consumers are choosing to spend their money more carefully on less expensive Scotch brands. Bad news for Chivas Regal, but not so bleak for stablemate Ballantine’s, which sits at a lower price point to Chivas and grew 3% globally. Ballantine’s Finest bucked the trend in China due to ‘emerging middle-class drinkers’. These are families who enjoy going to karaoke, and who will buy brands like Ballantine’s to mix with Coke or other soft drinks, says Lacassagne. So there are signs that the Scotch category is adapting and benefiting from a shift in consumer drinking habits. But the blame for slipping sales cannot be pinned solely at China’s door; there are myriad political and economic factors which have all played a role. Difficulties with the foreign exchange market and recession in Brazil also contributed to Chivas’ hardships last year. Russia also provided less than favourable conditions for Scotch, what with ongoing geopolitical tensions and the devaluation of the rouble pushing prices up and stocks down. However, there are still a number of flourishing Scotch whisky markets – some of which have come as a rather pleasant surprise. Take Spain, for example, which was stung hard by the recession of 2008. Scotch sales were struggling even before then and have been declining for more than a decade. Gin, on the other hand, has positioned itself as the nation’s spirit of choice, with all manner of weird and wonderful gin and tonic combinations cropping up in the on-trade. Could gin boom’s luck have rubbed off on Scotch too? It could very well be, as Scotch and gin were hailed for bolstering Pernod’s sales in Spain by an impressive 8%. Similarly, sales in Poland grew 10% despite the region remaining ‘commercially aggressive’. The double-digit increase was driven by Chivas, Ballantine’s and standard Scotch brand Passport. Demand for the world’s leading single malt The Glenlivet also continued, though at a slower rate to the previous year, with sales up 3% in value terms but down 2% in volume – which seems odd given the current explosive growth of single malts. Its Founder’s Reserve expression – a no-age-statement whisky released to lessen the strain on the brand’s mature whisky stocks – was hailed for its ‘strong performance’ in the US, alongside the 12-year-old. So what can we expect for Scotch in 2017? The group envisions sales growth in the US and India, but when it comes to China, Chivas Brothers is keeping its expectations realistic, but positive. While the company does not anticipate it will return to growth in China, it does expect to have a ‘better year’ in the region. If they're right, and all goes according to plan, we may just see the post-austerity recovery everyone has been waiting for.